Do you want to make a living as a writer? Perhaps it’s a dream you’ve always dismissed as impossible, and you’ve got a “sensible” day job, or a busy family life. But you’ve never given up your love of words. I’ll let you into a secret. You can make your writing pay. I do, and so do lots of the people I know. Forget what you’ve heard about ridiculously low rates – it is still possible to make a professional rate from your freelancing. When I started out freelancing, I offered everything from website creation to editing and proofreading. This only ended up confusing me and my clients, and often meant I worked on jobs which didn’t really interest me. Nowadays, I focus almost exclusively on writing for blogs, and do the occasional magazine piece. Don’t be tempted to offer every words-related service under the sun. It won’t get you more clients. Think of it this way: if you were hiring a designer to create your business cards, would you go for the guy who does everything from website design to logos to billboards – or would you pick the guy who just does business cards? One quick word of advice: it’s far easier to make money from non-fiction than from fiction writing. By all means keep up with your fiction on the side (I know I do!) but don’t rely on it to pay the rent. Of course, within many of these areas, you could drill down even further, particularly as you become more established as a freelancer. Freelance photographers and designers have “portfolios”. Freelancer writers have “clips” or “samples” – examples of your writing which clients can look at when they’re deciding whether or not to hire you. Obviously, you’ll want to make sure that your clips show your very best writing. You might feel like this is a Catch-22 situation: you need clips to get hired, but if you’ve never been hired, how can you have any professional pieces of writing to show off? Where possible, stick with the area you’re specialising in: clients looking for a copywriter may be surprised if all your samples are book reviews, for instance. As well as getting clips, you’ll want some testimonials. Usually, all you need to do is ask! Assuming that the people you’ve done free work for were happy with the results, they’ll often be delighted to give you a testimonial. Never make up testimonials. It’s unethical, it would be hugely damaging if anyone found out, and real testimonials always sound more convincing, too. Don’t be afraid to use testimonials which include some doubts or negativity (e.g. “I wasn’t sure what to expect from Joe Writer because I’d not seen any of his work before … but I was delighted with the finished piece.”) These are likely to be reassuring to prospective clients, who may well have the same doubts. The process for setting up as a self-employed writer differs from country to country. Check out what’s required in your own country, and make sure you file any relevant paperwork. Don’t put this off indefinitely because you think it’s going to be a lot of hassle – in many cases, you can do it all online. If you don’t have a PayPal account, I’d strongly recommend setting one up. This is particularly crucial if you’re going to be working for online clients (such as blog editors or website owners), most of whom will want to pay via PayPal. It’s also extremely useful if you’re going to be paid in foreign currency, as PayPal handles the converting. Don’t be tempted to go out and buy a ton of home office equipment right at the start of your freelancing journey – especially if you have yet to make any money. You may well want to upgrade your computer or your broadband connection, or you may want a new desk and chair once you start freelancing full-time, but if your writing is currently confined to a few hours at the weekend, you don’t need to go out and spend lots of money yet. One real essential is your website. It’s so easy and cheap to set a website up nowadays that clients will be surprised if you don’t have one. Plus, there’s no easier way to showcase your writing clips and testimonials: your website can be accessed from anywhere in the world, at any time. Have your own domain name. This could be your own name (“yourname.com”) or your company name. I’d recommend going for the latter, especially if you might ever want to sell your business. Don’t look amateur. Ideally, you’d want to pay for a custom website design – but if you’re starting out on a shoestring, use WordPress and look for a template which you like. Many are free, some cost just a few dollars. Check and proof-read your site. Missing links and typos look sloppy. You’re a writer, so make sure your website itself is a great example of your writing. Make it very easy to contact you. Some clients like to use a contact form, others prefer to email directly – offer both options. Unless you have strong reasons not to, give a phone number as well. I’ve put this step now because it’s easy to get bogged down in learning about writing and business, without actually taking any action. It’s definitely important to keep improving your skills – but not to the exclusion of actually using those skills. Plus, I know from experience how easy it is to buy books, courses and training materials … and leave them gathering dust on the shelf. There are loads of great resources out there for new freelancer writers, so browse around and get friends’ recommendations so that you’ve got a good idea of what will work for you. Make sure you’ve mastered the basics. If your grasp of grammar is shaky, get a good basic book and take your time over studying. This may be a bit dull, but it is important. Following top writing-related blogs: Daily Writing Tips of course, but there are many other great ones like Copyblogger and Men with Pens. Read examples from great writers in your field. For example, if you’re a copywriter, look out for pieces of brilliant sales writing. Keep a “swipe file” of your favourites – study them, figure out what they’re doing. Ask a fellow writer for feedback. If you’re struggling with a particular piece, a second pair of eyes can often help you spot problems or flaws. Schedule regular time for admin. You’ll need to contact prospective clients, send invoices, keep detailed records for tax purposes, and so on. Stay as organised as possible. Write deadlines onto a calendar, and plan ahead. Know how much time you have available in any given week. File all papers relating to one job in the same place, so that you can find them again when necessary. If the idea of marketing and self-promotion terrifies you, then start small. Use a blog and Twitter to gather a following online. Encourage customers to recommend you to friends (perhaps providing an incentive). Read freelancing and small business blogs: Freelance Switch, Freelance Folder and IttyBiz are three great ones. Good luck with your freelance writing journey – and don’t forget to have lots of fun along the way! 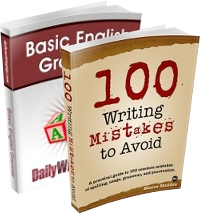 About the Author: Ali Hale is a freelance blogger, and author of The Blogger’s Guide to Effective Writing – an ebook which covers everything you need to know about writing brilliant blog posts. No newspaper editor is going to publish a freelancers work and pay for it! Doubtful they would run it even if offered at no charge. In response to TrendyExaminer: In England local newspapers are usually happy to print reports of societies and charities sent in by their members – no payment but good publicity for the organizations and good practise for the writer. Maybe it’s different in America. Excellent article, Ali. It has motivated me to tend to some writing chores that I’ve been neglecting. One is to open a Maeve Maddox account on Facebook to see if I can gather a following. TrendyExaminer–a few years ago, after my third letter to the editor of our local (upstate New York in America) newspaper, the OpEd page editor called me and invited me to become a monthly contributor. I kept it up for over a year, and had a ball; they didn’t pay a fortune, but they did pay, and it probably netted to slightly above minimum wage. The paper also encourages readers to submit OpEd pieces, and my understanding is that they are paid on the same basis as the regularly scheduled contributors. So, yes, at least some newspapers in the US publish and pay for some forms of freelance work. Thank you for the wonderful post you have shared. 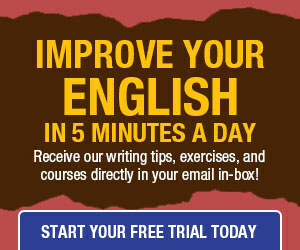 I completely agree with you and I would like to show you my article writing service. You made some very nice points there. I did a search on the niche and found the majority of people could agree through your blog.